One of the most commonly used drugs in the world today is marijuana. The dry, green mix of buds and leaves come from the Cannabis sativa plant. It is typically smoked in a pipe or rolled into a cigarette referred to as a joint. It can also be brewed as a tea or mixed into food. Marijuana has a very distinctive and pungent flavor. While it is frequently used for medicinal or recreational purposes, it is the flavor that many people desire more than the marijuana itself. For this reason, many people have held out hope for marijuana flavored e-Liquid since e-Cigarettes first hit the market. They want to experience the crisp, fruit flavor that they get with fine weed. Many have long sought a way to get the taste that they love without getting high. Marijuana e-Liquid provides vapers with a way to inhale that delicious taste throughout the day without all the side effects for only a fraction of the cost. You get the sweet flavor of marijuana that will leave you wanting more. All you get is flavor. There is no THC, no cannabis and no legal consequences. Marijuana flavored e-Liquid is designed to deliver the taste of some of today’s most popular strains. When combined, the variety of artificial and natural flavors of this e-Liquid recreate the taste of the cannabis herb that so many people desire. The earthy flavor of indica, sativa and ruderalis is present in ever puff. This complex flavor chemistry tastes incredibly close to the real thing. To say the least, this juice is intriguing and unique. The use of marijuana goes all the way back to the third millennium B.C. A decade ago, it was estimated that four percent of adults around the world were consuming cannabis. That is more than 160 million people. However, since the early 1900s, the use, possession and selling of marijuana has been subjected to a number of legal restrictions. The newly developed marijuana flavored e-Liquid mimics the taste of the popular green herb, but it does not contain any substance from the actual marijuana plant. It contains no THC or any other drug. It is not a real herb, so it will not leave you with a high feeling. 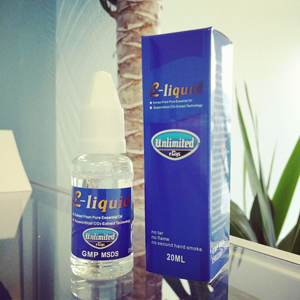 This e-Liquid has a very distinct taste upon vaping. It is the ideal way to get the full marijuana experience without any of the guilt or other concerns. The best thing about marijuana flavored e-Liquid is how close it comes to tasting like the real thing. Therefore, if you are trying to cut down or quit smoking cannabis all together, but you still want to experience your favorite flavor, you can simply choose this type of e-Liquid. If you want to experience marijuana flavored e-Liquid, you will need the right electronic cigarette to get the best possible experience. With the eGo-ProTank, you get a durable all Pyrex glass and hard chromed metal design that requires very minimal maintenance. The new bottom loading coil system uses gravity to feed the liquid to the coil, allowing you to get the best vapor and flavor.